Are you ready to catch the amazingly designed HSY sherwani collection 2015 for men? Wedding season has all started off and as at one side all the designers are coming forward with the bridal collection then at the other side HSY has just inward in the market for the men groom collection. 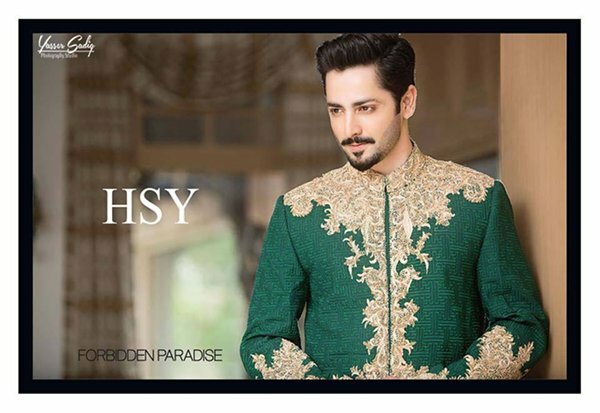 HSY as known by the name of Hassan Shehreyar Yasin in the top most known fashion designers of Pakistan. He is not just well known in Pakistan but has even grab much reputation in the international world too. 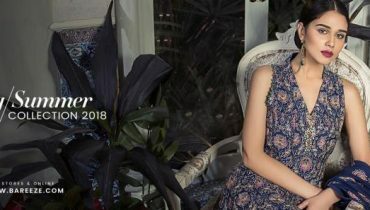 No matter whether it is about HSY casual collection, pret wear, party wear, seasonal collection, bridal wear or the groom wear almost all his collections has forced the fashion lovers to fall their hearts out on the dresses designs. 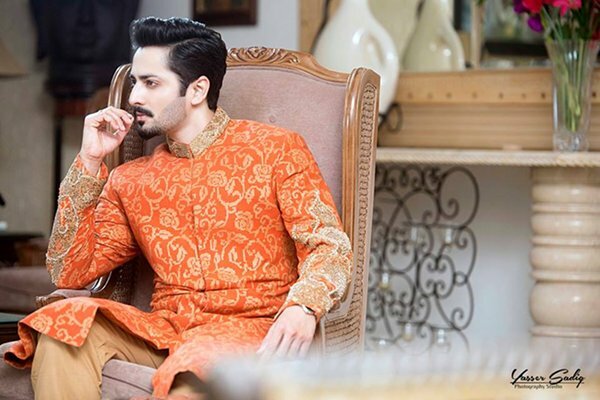 By giving a look at this latest HSY sherwani collection 2015 for men the fashion lovers will be finding the fashionable and awesome designed sherwani designs. Sherwanis have been just put forward with the designing according to the latest and newest form of the fashion trends and styles. 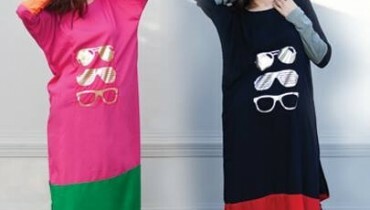 Sherwanis are much paired with the sherwanis and salwars. Over the neckline, sleeves and front side the designer has made the use of the embroidery and motifs work that looks so superb. HSY has made the usage of the light shades in the sherwanis with the little taste of brightness in them. Now let’s check out the pictures of latest HSY sherwani collection 2015 for men. This shoot has been done for the DIVA Bridal Issue 2015 as covered by Photographer Yasser Sadiq in which the featured model is Danish Taimor. Cuts and hues over the sherwanis have been finished in much creative and artistic form of designs and styles. 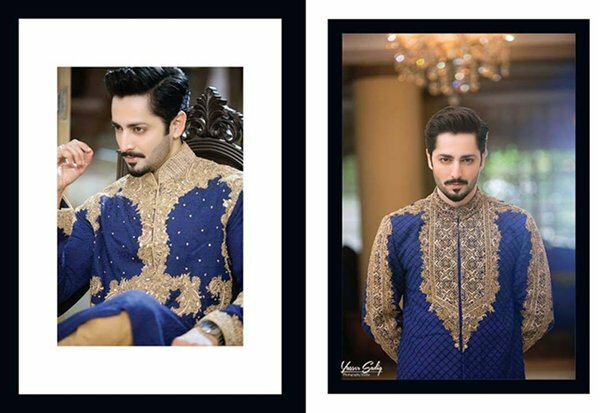 So just wasting anymore time if your wedding day is near dont miss out the chance to give a look at this brilliant designed latest HSY sherwani collection 2015 for men!